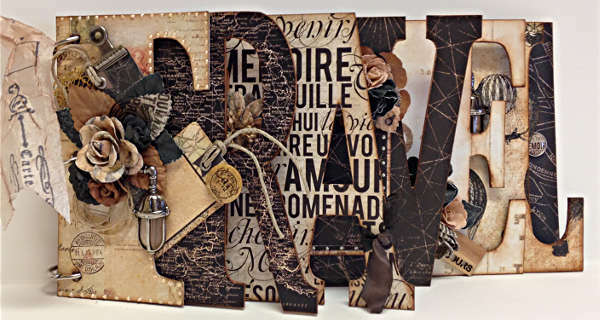 Bo Bunny My Word Chipboard Albums are designed to be like portable museums of your favorite art photos or memories; a book to last a life time. 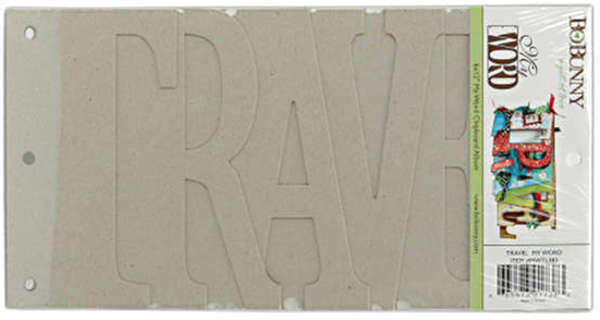 My Word Travel Die cut - bare - chipboard letters are stacked and overlapped to create iconic words that are ready to be 'dressed' with your favorite paper supplies embellishments and photographs. Album measures 12 x 6 inch and has 3 holes on the left side for your choice of binding. All capital letters.